Debuting at Dubai Fashion Week this year, retailers Label 24 are all set to take the Dubai fashion industry by storm. Showcasing two of their 4 designer talents, Rohit Kamra and Abdul Halder, Label 24’s collection was a display of the label’s emerging talent. 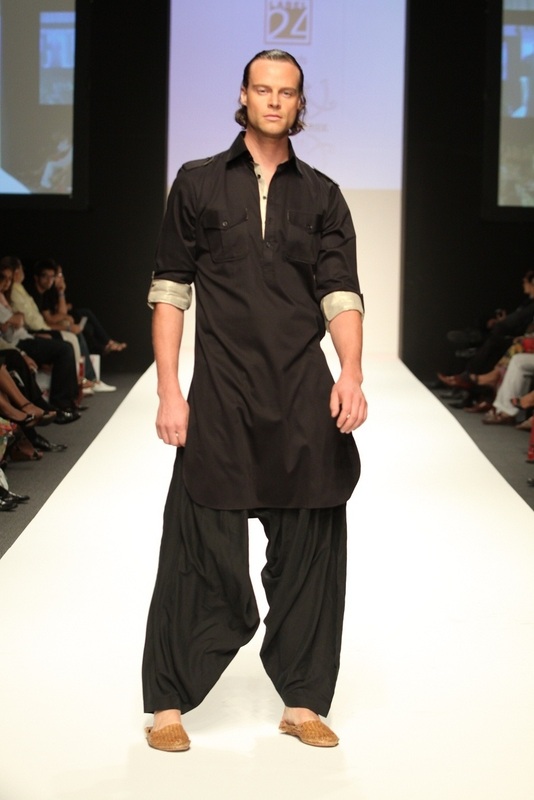 Rohit Karma kicked off the show with his men’s wear collection. 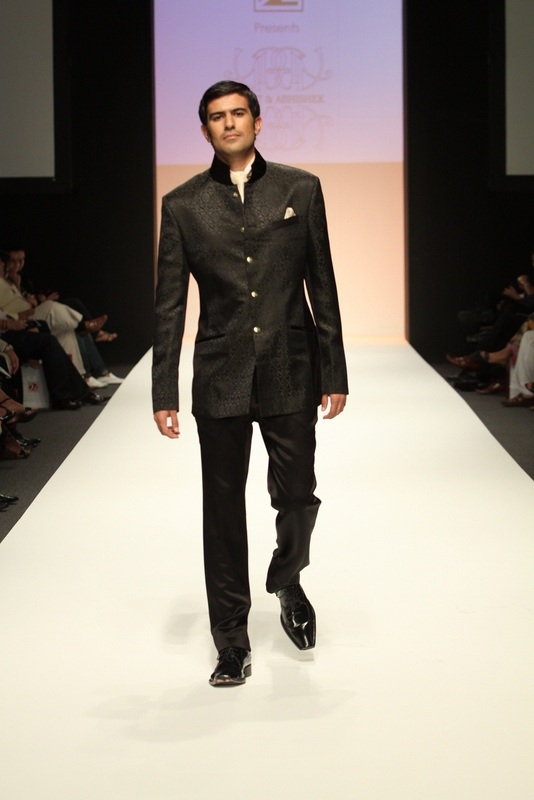 Blending East and West, the collection brought out the Indian Maharaja in the modern man. Hailing from the Indian city of Jaipur, his local influences manifest themselves on the runway in the form of jodhpur s, high collars and Nehru vests. 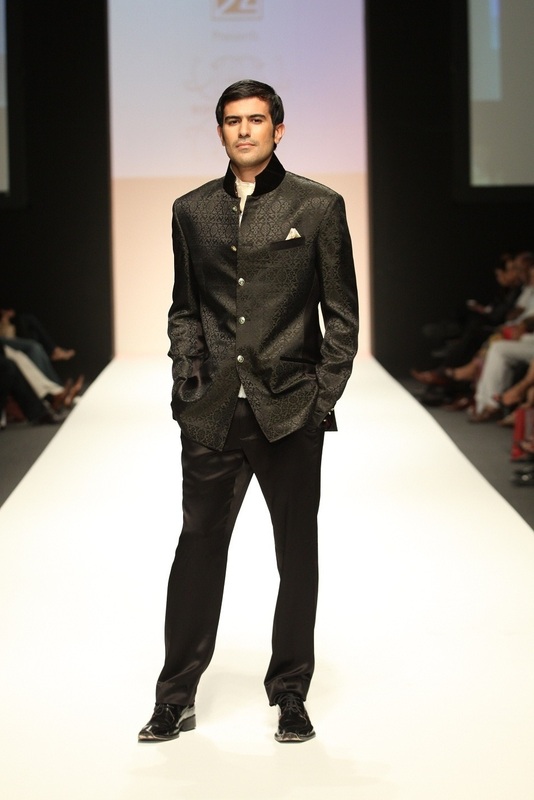 The collection makes ample use of the cloth shading technique that is characteristic to Jaipur fashion. 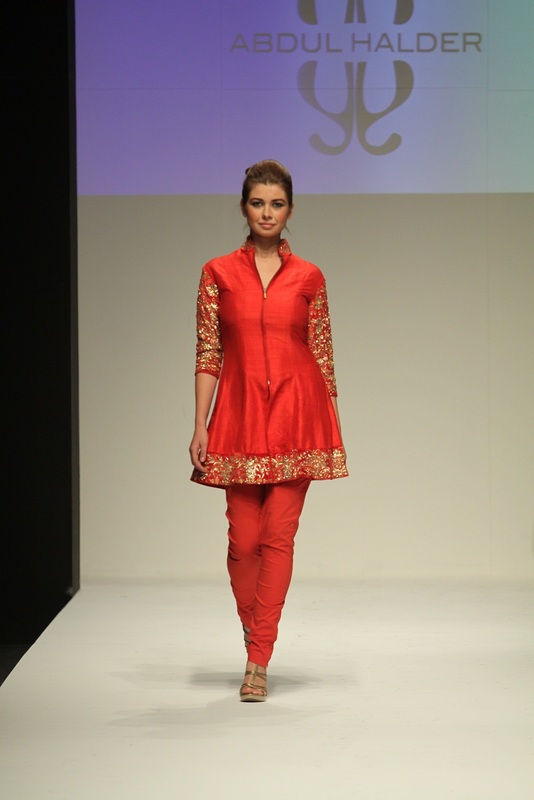 The formal wear presented laid a heavy emphasis on crisp cuts, while making use of subtle ethnic designs, thereby balancing the finer elements of both cultures. Abdul Halder presented a trousseau collection aimed at the modern bride, incorporating Indian designs into traditionally Western silhouettes. Lehengas of deep red were accompanied by pale gold churidars and sarongs. Saris in pale blue and baby pinks were worn with sequined blouses, while long silk skirts with heavy embellishments were paired with solid coloured corsets. Halder used silk as a fixture in all his outfits ranging from crisp white pant suits to varying hues of scarlet, pink and midnight blue. Anupama Verma of Label 24 and a former supermodel, was radiant in the green showstopper 2-piece combo made entirely out of deep green tulle and silk. The flouncy tulle skirt and its V-cut shirt was set off with a chunky silver neckpiece.